ever wondered why your device has slowed down over time. I mean when you first get your shiny new Android phone out of the box it feels like the fastest thing ever. But over time as you keep using, it slows down a lot. Blaming it on the hardware we keep spending money on upgrading to a new phone. But in fact the issue is not with your phone. It's rather with Android operating system. and because it’s from the Android OS, we can fix it. 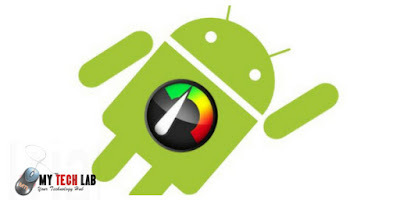 Today's article I'm going to show you how to speed up your Android device. So by the time you finish reading your phone will feel just like the day you first got it. Let's get started. Smartphone manufacturers heavily theme and customize Android to make their phones and products unique. On the flip side that really slows down the otherwise perfect stock version of Android. manufacturers frequently push over the updates in inside OTA updates which fixes bugs, adds new features and further optimize the android with the aim of smoothing things out over a couple of updates. so it's highly recommended to check for OTA updates. You can do that by heading over to the Android settings. updating should eliminate most software bugs and will definitely give you a better and a faster version of Android. So before proceeding any further. Make sure that your device is updated to the most recent build off Android officially available for the device. Android by design forces the users to minimize applications than closing them. Each time you want to close an app on Android you will have to hop back to the recent application section and will have to manually swipe to close an app that forces the users to have multiple applications running in the background. Eating up a huge chunk of the phone resources for no reason and we hate it. That's probably the single reason why devices slow down over time as we keep using them. One way you can fix that is by heading over to the Developer option in Android settings. Now if the developers option is missing from your settings no worries. Head out to about phone section and tap on the Build number around 7 times. Then hop back and you should see it there. Once inside the developer option, scroll down to the Application section. Then tap on delimit background application option and limit that to 2 to 4 applications at a time. This will save you more RAM which in turn improves speed, battery life. Now first the above methods should be able to fix most common slowdown issues on Android but if it didn't then you will have to find the specific issue that is flowing down your device. 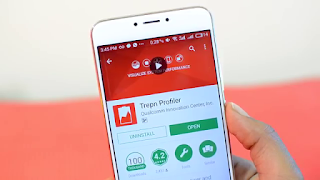 You can do that by installing a system profiler app from player store. after using a device for a couple of hours. Launch the profiling app and it will show you what application or process is consuming what resources. uninstall any app you don’t use often that’s consuming more memory. You can save space and memory by launching Facebook, Instagram, Twitter from just a single app. To do that go to settings > application > tap on the app > disable. They'll pretty much stop the app from running the background giving you a faster Android experience. Disable as many as possible. Sometimes it's not your device that is slow but it's the launcher that is slowing down your device launchers heavily influenced the performance of devices. Some launchers focus on looks and animations, others optimize launch speed and performance. I recommend using Google launcher which is way faster and snappier. If you are happy with an existing launcher and just want to speed things up a bit, simply head over to the Developers option then scroll down and decrease the animation and transition speeds probably to zero. this will definitely make the existing launcher feel a bit snappier. I will see you in the next.